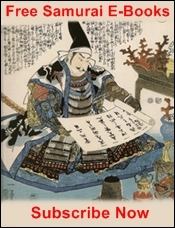 The Hagakure Kikigaki (葉隠聞書) is a compilation (often incomplete in modern English translations) purported to provide practical and spiritual guidance for the bushi, the samurai warriors of feudal Japan. It is based upon the dictations given by Yamamoto Jōchō (often referred to as Yamamoto Tsunetomo) a former retainer of Nabeshima Mitsushige, to his scribe and disciple Tashiro Tsuramoto. On my shelf I have no less than 4 translations of the Hagakure. 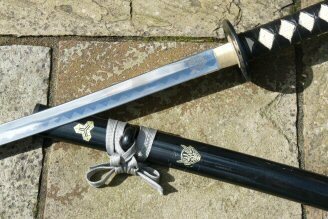 It is vital text in the study of Iai and the koryu bujutsu, particularly so as my dojo is greatly privileged to wear the crest (mon) of the Nabeshima clan from whom the Hagakure originated. I have needed 4 translations as I found each lacking in different ways... It is incredibly difficult to translate the pictographic Japanese language and convert it both accurately and readably into the English language. 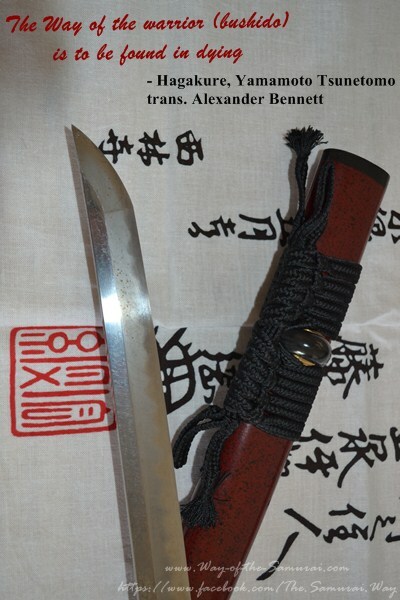 (I have written a detailed article on the difficulties such translations here - https://www.way-of-the-samurai.com/Translating-the-Texts-of-the-Masters.html)...and as such, it was then with some trepidation I approached the latest offering in the English language provided by Alexander Bennett. The Hagakure (trans. Dictations Given Hidden by Leaves or more poorly - In the Shadow of Leaves) is perhaps, the most quoted tome of samurai lore. Its philosophies have shaped the minds of business, literature and movies for generations. 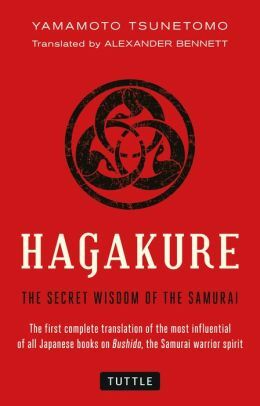 It is a legacy continued today...and the Hagakure continues to be the primary source of information on the samurai for the general population, those not indoctrinated into the martial ways of old Japan....and even then it is often the only book (outside of Miyamoto Musashi's Go No Rin Sho). Ghost Dog; Way of the Samurai was heavily based on the Hagakure, the lead character of the film carrying a copy of the book and frequently quoting from it throughout the movie. The same was true of Tom Cruise's high grossing "Last Samurai". 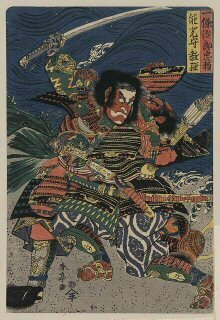 Quotes, often misinterpreted such as the "The Way of the Samurai is found in death" and know part of the popular conception of the samurai. 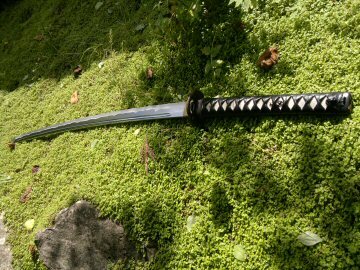 The problem has always been for the serious student of the martial ways (budo) and martial arts (bujutsu) that the Hagakure is often taken completely out of concept and poorly translated. This has led to a violent and entirely ridiculous backlash within certain martial arts communities (many of whom should 'not' be casting stones at legitimate texts for fear too strong a light is pointed at their own dubious origins). I remember once, when I was a young teen enthralled by the 'wisdom' of the Hagakure's text a teacher I was training with laughed at my being duped by such a fraudulent text and was quick to point out that the dictations spoken by Jōchō were not that of a samurai but that of a disgruntled monk with no clue of the reality of the life a samurai led. 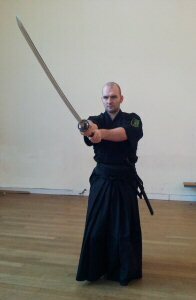 He then triumphantly produced a document written by Hatsumi Masaaki of Bujinkan fame to support this. It is, nearly 15 years later and with a far deeper understanding of Japanese history, genuine historical Japanese arts and my own work translating Japanese texts that I can truly see what an idiot that man was and I can appreciate the Hagakure fully for what it is. But it is only with the aid of Alexander Bennett's magnificent translation and dedicated work that such an understanding truly became possible. Perhaps the single most important aspect of Bennett's translation of the Hagakure is that it, finally, provides the proper context for the reading and appreciation of the text that is so desperately required for the English language martial scholar or those simply interested in the ways of war and strategy. Bennett's work opens with one of the most insightful, well researched and articulated commentaries on the Hagakure ever published. 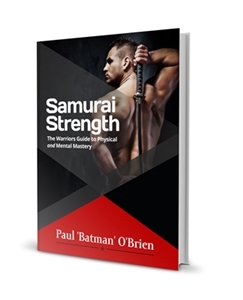 Not only does he provide an accurate historical context for the book, which is needed if one is to understand the advice and admonishments contained therein, but he systematically assesses and analyses the various objections put forward on the Hagakure and then, like a well trained samurai (he is a high level kendo-ka so this isn't a surprise) systematically cuts these down and reveals the fallacy's of the arguments, leaving them laid bare and evident to all. He then provides fascinating insight into the Hagakure's influence on popular culture before delving into the fascinating work of explaining the nature of the source documentation for the translation and a brief discussion of his work in translating the text and his insights into the often contradictory nature of Jōchō's writings. As a fellow translator I greatly appreciate that, but it so well written I am confident that it will capture and delight the lay reader and provide an even greater sense of depth and appreciate to the following text...and that...well that is something else. Bennett you see has provided something never before in the English -a complete translation of the first two of the three 3 books that were compiled by Tsuramoto. No other English language edition has approached this level of detail. And speaking of detail - that is where the TRUE value of this edition lies. Not content with simply providing what Ii feel is the most accurate translation of these texts to date, Bennett supplies the reader with exhaustive, highly detailed and endlessly fascinating notes on the various passages of the text. These insights provide vital a previously missing historical contest, revealing the family connections interpersonal relationships of the various figures mentioned in a passage for instance , to explaining and elaborating on philosophical, political and cultural knowledge that is unknown to those not immersed in feudal Japanese culture. However at no point does the flow of his writing fall into the easy quicksand of boring scholarly text. There is a life and poetry, a flow and fun to both the translation and notes that at once provides incredibly detail and background and never removes the reader from the fantastic readability of the book. I have boxed away the 4 translations of the Hagakure I have relied on for so long. On my shelf stands a single, already well thumbed volume, that which I consider to be the definite English language edition...Alexander Bennett's translation of Hagakure: The Secret Wisdom of the Samurai. You've been reading about the Hagakure Review Alexander Bennett's Translation. Check out my recomended reading list here.